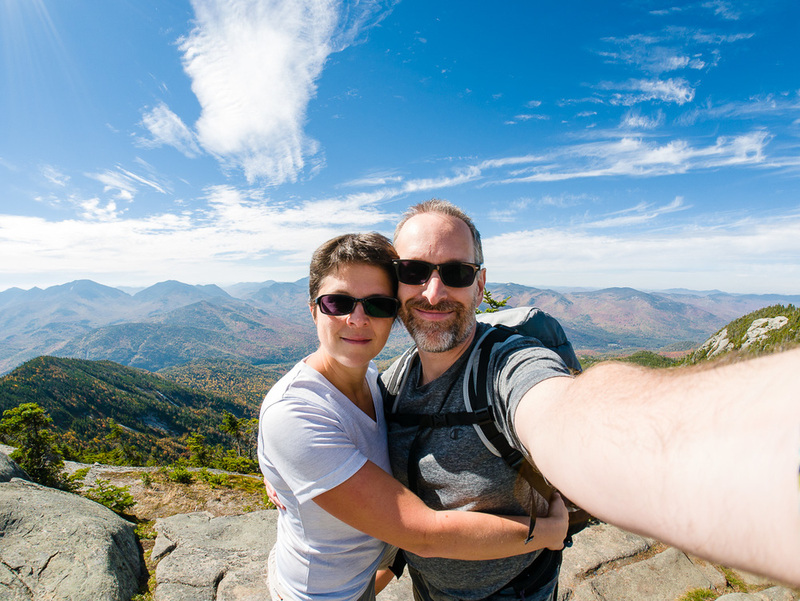 At the end of September, my wife and I went to Lake Placid, NY for two nights for our wedding anniversary. We try to do something special each year just the two of us. We are lucky because my in-laws take care of the kids, dog and cat while we are away. 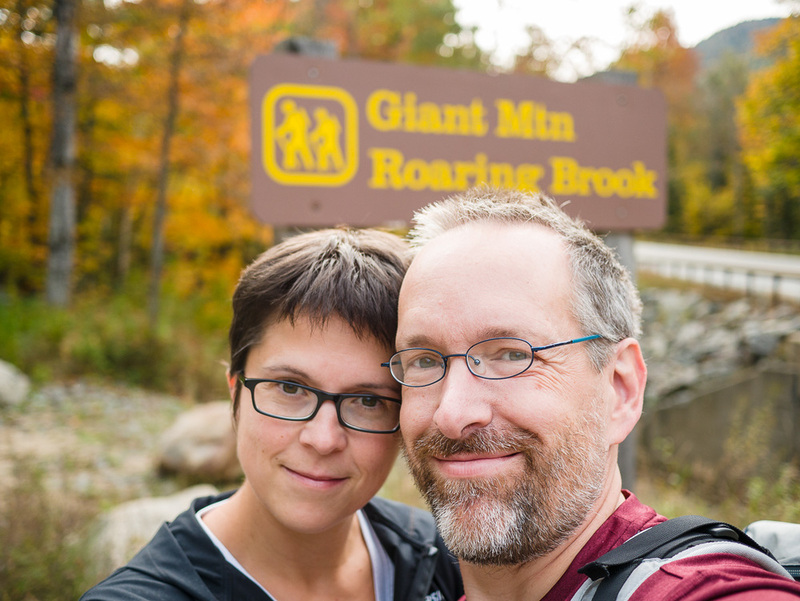 Last year, we ran a half-marathon in Colebrook, NH but this year, we decided to go hiking. 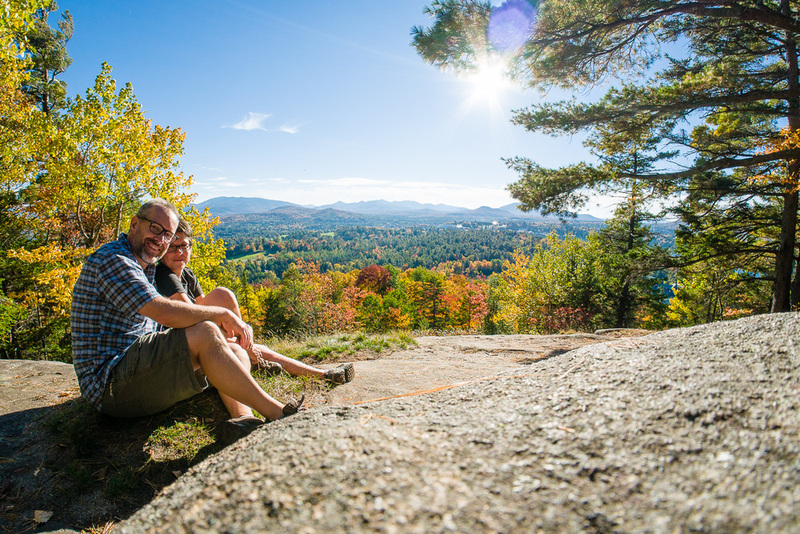 That was our first time in Lake Placid and the Adirondacks. I was not impressed by the reception we got in town. Although the place probably survive on tourism, the people we met were cold and not really of the smiling type. The weather was perfect though and the landscape superb. After checking in at the hotel, we did a short hike to Cobble Hill, right by the town. 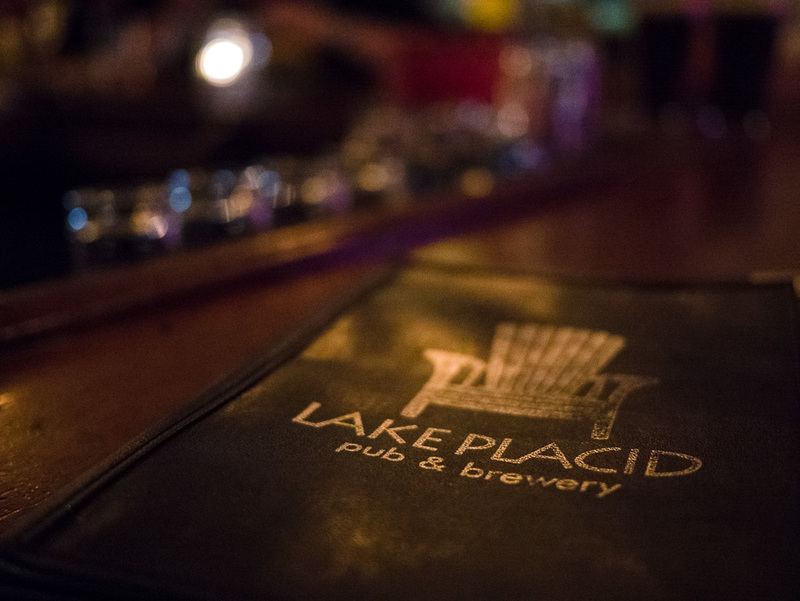 The first night, we ate at the Lace Placid Pub and Brewery. The food was good but the beer was better. My favorite one was the Ubu, a dark red ale. It's worth stopping by to take a cold one. 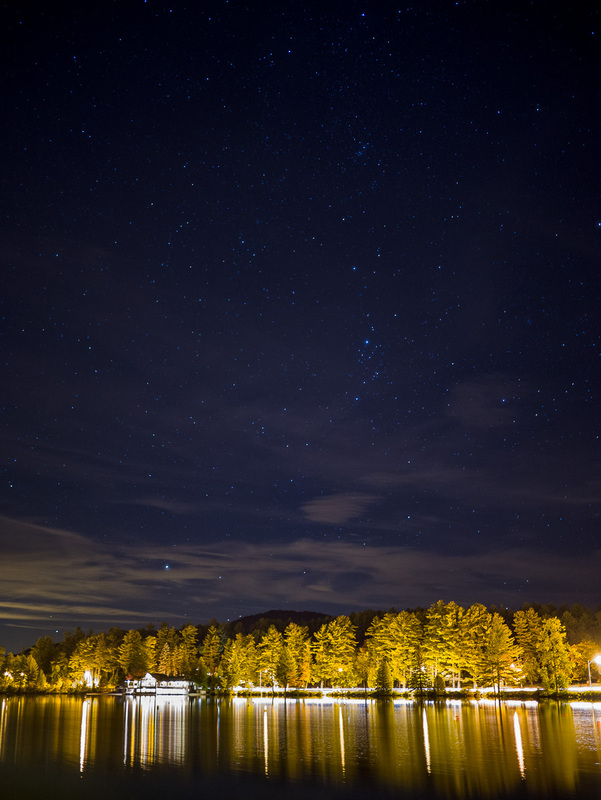 Although I was tipsy after two beers, I took the time to photograph the beautiful stars by Mirror Lake on our way back to the hotel. 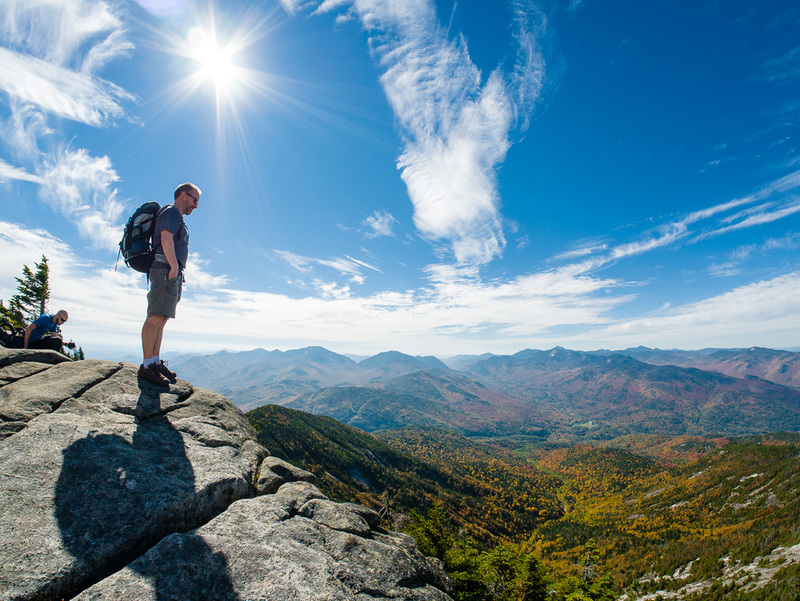 There are 46 High Peaks in the Adirondacks and we decided to climb the 12th highest: Giant Mountain. On the way there, we pass a very cute town named Keene. Unfortunately, we didn't have time to stop there but if we go back, I will try to find lodging in that area. 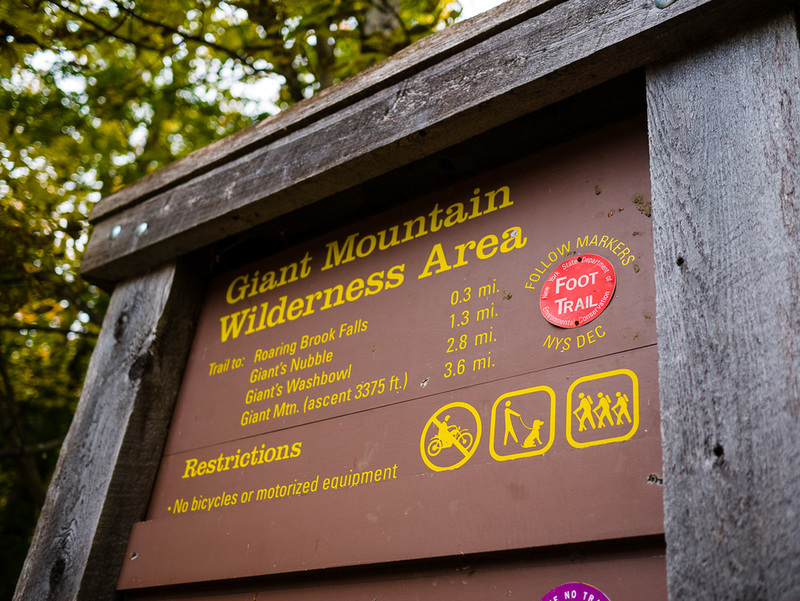 There are two trails to climb Giant Mountain from the route 73. We decided to take the longest one because we wanted to see Roaring Brook Falls. 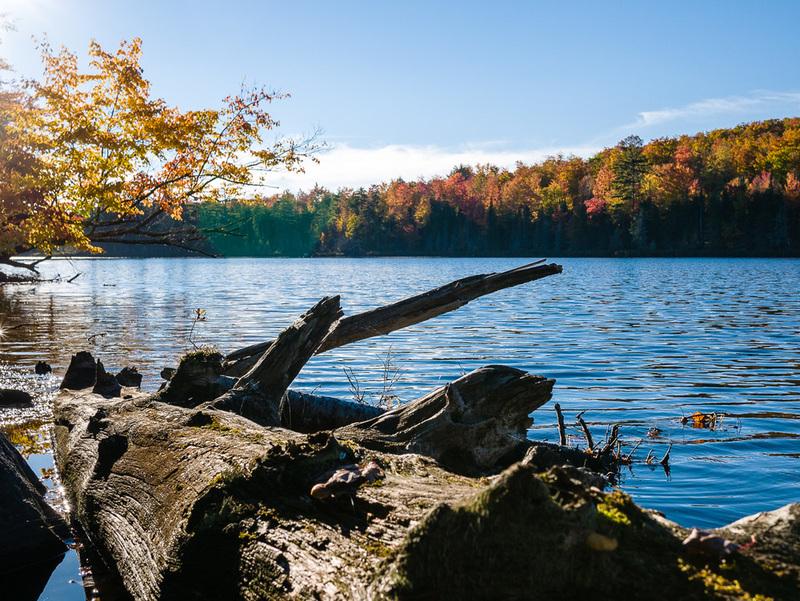 If you are out of shape, it might not be the best hike for you and I would definitely not bring young children there (below 10-12 years old). The climb is steep and long but it is really worth it. The view at the top is grandiose. We took the other path to go down and it was a very good idea. 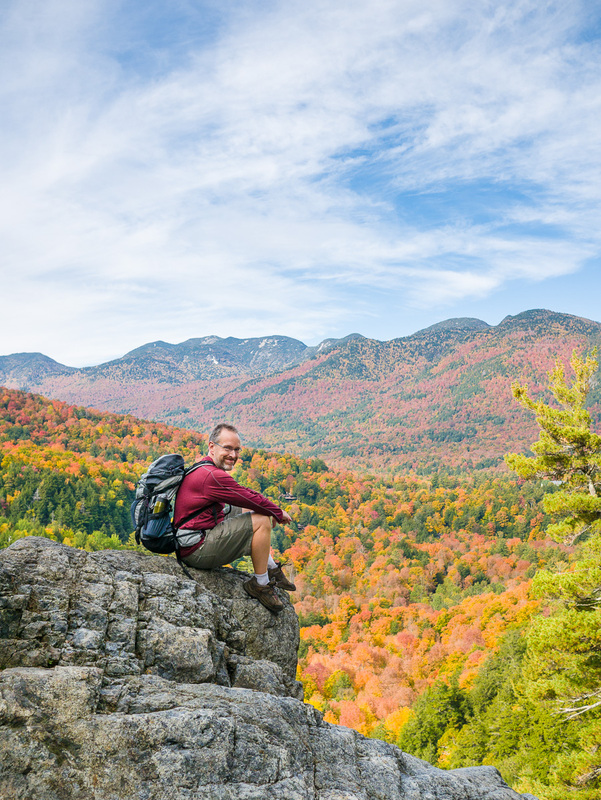 The Rocky Peak Ridge Trail is breathtaking, especially at this time of the year. When you get to the Giant Washbowl, there is a side trail to go back to the Roaring Brook Falls. Overall, we walked 7.5 miles (12,5km) and climbed close to 5000 feet (1600m). We thought we had enough water but with the warm temperature, we ran out just after lunch, on our way down. I packed light for the hike. In addition to food and water, we had some warm clothes and my photography gear. I brought my faithful Lumix GX7, the Panasonic 20mm, The Rokinon 7.5mm Fisheye and the Olympus 45mm. I packed that in an insert that I put in my backpack. It weighted under 2 pounds. If I still used my 5D Mark II, that would have been close to 5 pounds and I would have needed a bigger backpack. I regret not having something like the Peak Design CapturePro Clip. The climb was tough so I had to put my camera in my backpack. I could not have it dangling from my neck. The possibility to clip the GX7 on the shoulder strap of my backpack would have been great. I will probably get one before next summer.